In recent Honda news, they announced they would be debuting the Honda Insight Prototype at the 2018 North American International Auto Show in Detroit. The all-new 2019 Honda Insight is noted as an upscale, stylish five-seater sedan, positioned above the Civic in the Honda lineup. The all-new proposed Insight is said to utilize the two-motor hybrid system and will launch next summer as the newest addition to Honda’s electric lineup. Who knew? This new addition will change the way drivers perceive electric vehicles, and will raise the bar once again. With the Clarity just released, will this add competition amongst electric vehicles within the Honda family? It’s very unlikely! The Insight will hold the position of a higher-end, electric vehicle. The first Honda Insight was introduced in 1999. The first-generation Insight was North America’s first hybrid vehicle. This technologically advanced vehicle was forced with optimized aerodynamics and a lightweight structure. The 2-door Insight was awarded the most fuel-efficient NRCAN certified gasoline powered vehicle. The highway fuel efficiency had a rating of 4L/100km. The Insight was also Honda’s first vehicle to use the Integrated Motor Assist (IMA) hybrid system. Performance, Premium, and style. The all-new Insight takes a new approach to style, packages, premium features, and performance. Each feature will be desired by mainstream car buyers. 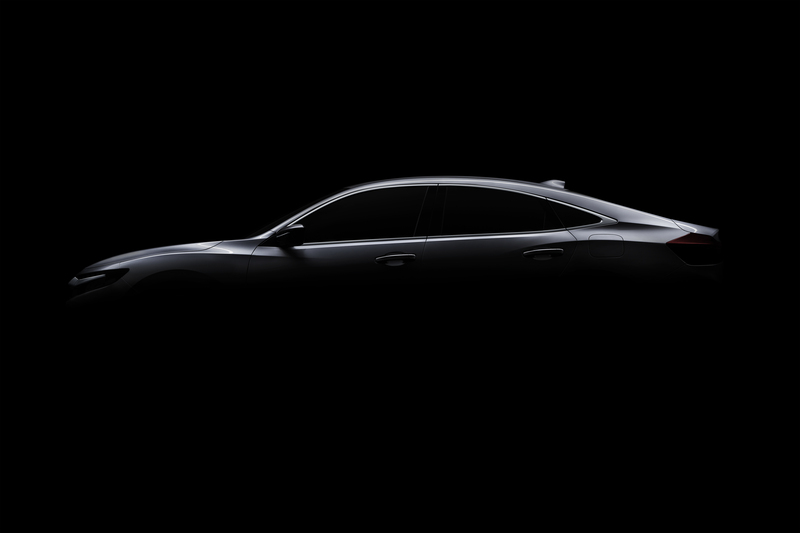 For those Honda fans who desire fuel economy but desire luxury, will be able to receive it all with the Insight. This will be one of the first hybrid vehicles that will not have drivers choose efficiency over luxury. Honda Insight will feature the two-motor hybrid system, providing fuel economy that is competitive with other compact hybrids. Production of the Insight is said to be completed in Greensburg, Indiana plant. For those Honda fans excited to view the concept of the Insight will have the opportunity to view a prototype during the 2018 North American International Auto Show taking place January 15, 2018. Stay connected with Henley Honda, for the latest news on the 2019 Insight.